Just because our name is Pizz’a Chicago does not mean that you can only order one of our delicious deep-dish pizzas when you dine with us. With a variety of menu options to satisfy any craving, we give you the choice you need to get the exact meal you want. If you are in the mood for an appetizer, start your meal off with some garlic bread with cheese, garlic fries, Buffalo wings, or stuffed mushrooms. Order some minestrone soup to warm you up on a cold day. We have a great selection of salads like Caesar, Veggie Lovers, and Spinach if you want a lighter meal. We also have some mouthwatering calzones and pasta selections. Finish your meal off with dessert to enjoy some sweeter tastes. 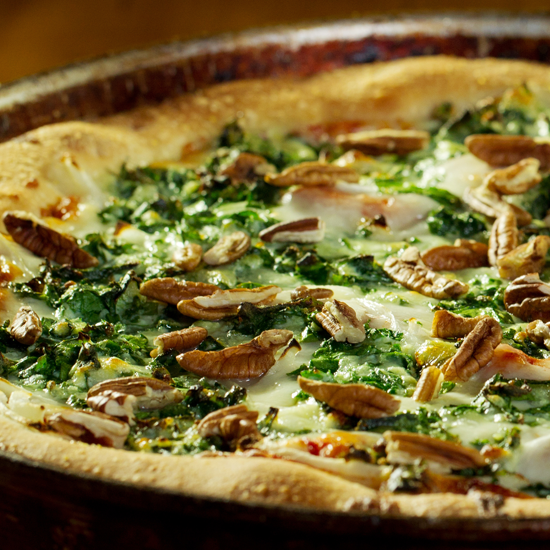 Whether you are craving a deep-dish pizza or a calzone, Pizz’a Chicago has the menu you need to satiate your craving. With locations in San Jose and Palo Alto, we make it easy to get Chicago-style pizza in California. Visit our website or call (408) 283-9400 to learn more about our menu.